We already learned how to win Roshambo every time, but there’s actually more to it. Eyemotive provides the expanded rules, namely tiebreakers and unconventional tactics. I hate it when someone lights my paper on fire. It hurts every time. 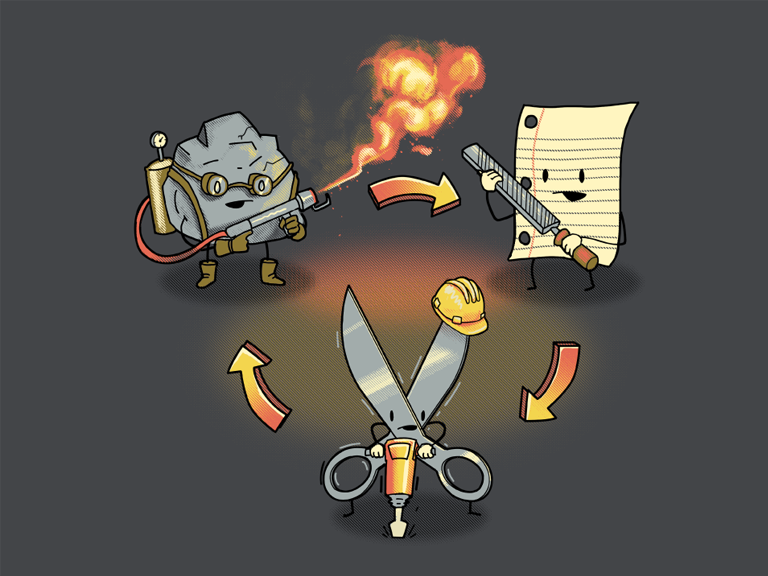 Coincidentally, today’s woot shirt is an illustration of the unconventional tactics. Did you plan this? Wait, I cannot fathom it being so straighotfrwrad.